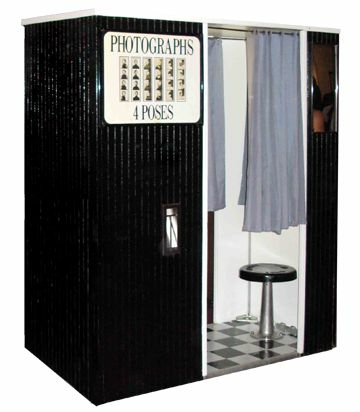 CHICAGOLAND'S VINTAGE PHOTOBOOTH RENTAL COMPANY! Parties with photobooths are unforgettable! 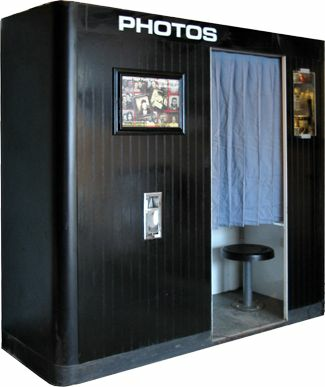 312photobooth specializes in genuine vintage photo booths... not one of those cheesy digital tents. Whether you choose our classic True Vintage or Digital-Retro booth, your guests are guaranteed to have a blast! Our professional staff will show your guests how the photobooth works, and encourage them to jump in and have fun! We provide the best selection of costumes for hilarious photos. 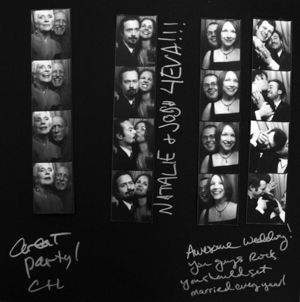 312photobooth also assists your guests in making an awesome scrapbook! 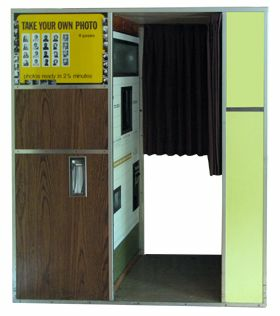 Digital or True Vintage film photobooths! Delivery to your event location. Minimum 4 hours rental time. Unlimited photos for the entire event. Professional on-site attendant and technician to assist your guests. Scrapbook for the guest of honor. 312photobooth provides wacky costumes and props for extra photobooth fun! Awesome and professional. 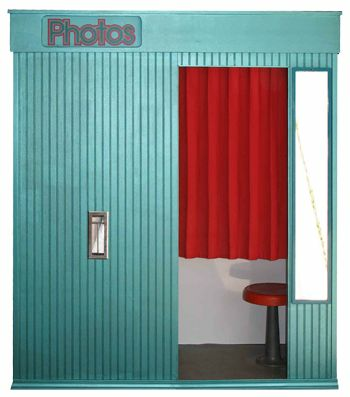 Authentic photobooth. It was a total hit at the wedding!!! Our guests loved the photobooth. The photobooth staff were pleasant and helpful to us. They brought props and also the guest book for the doubles of the photos. This was a hit! 312photobooth was a bit more expensive than other photobooth providers. The vintage looking photobooth was a huge hit at the wedding. We also gave away frames for the photo strips as our wedding favors. The only disappointment was that the table with the scrapbook was in the corner and only a few people actually wrote notes in it. Great wedding memories! 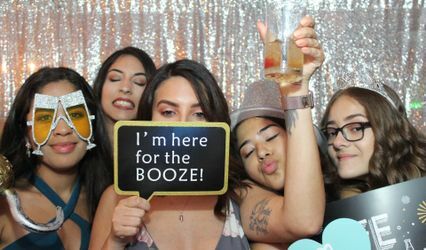 312photobooth made a fabulous party even more fun with their photobooth! The wedding was at BOKA in Lincoln Park and Anthony and his staff were professional and really fun for all of the guests. Wedding guests (and the new couple) were going to booth ALL NIGHT. 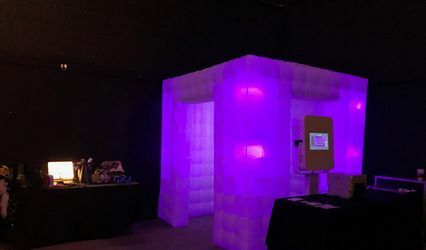 Our client chose to use the old-fashioned film booth which was a huge hit! Thank you so much to Anthony and everyone at 312photobooth for adding to the wonderful memories and capturing them in the photos which they put into a book for the couple to enjoy forever! !